Abu Dhabi, 17 September 2017 – Shangri-La Hotel, Qaryat Al Beri, Abu Dhabi tells its guests the story about The Dessert in the Desert through its brand-new afternoon tea concept. To represent the capital of the UAE in its full glory, Executive Chef Reiner Lupfer has created a special menu in collaboration with Executive Pastry Chef Muhamad Jejen. Their aim to bridge the gap between ‘then and now’ is achieved by giving French pastries a modern touch with the use of local ingredients. This new menu is designed to mirror life in Abu Dhabi, where modern living interlaces smoothly with the city’s history. 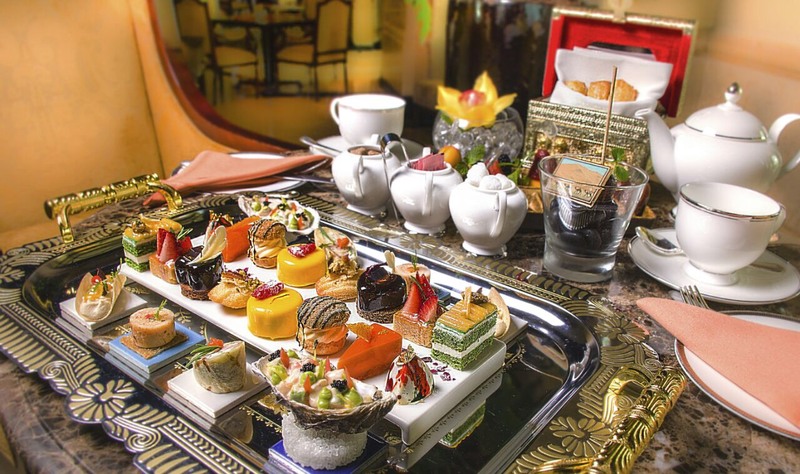 The Dessert in the Desert afternoon tea menu features an extensive selection of scones, savoury bites and pastries infused with local ingredients. Chocolate, golden raisin and plain scones are served with a side of clotted cream, strawberry jam and whipped Medjool date butter. For those who prefer savoury treats, there is a selection of delicious snacks like sumac-spiced grilled chicken brochette, turkey ham and Arabian cheese wrap, Gulf prawn cocktail and crispy pita crouton with hummus. No afternoon tea is complete without a wide range of pastries and Chef Reiner has made sure that guests will be spoilt for choice. Options include saffron-raspberry bavouris, curry-orange cheesecake, zaatar-strawberry tart, cardamom-mascarpone mousse profiterole, rosewater-almond chocolate cake, pistachio-lemon dacquoise and baklava financier. There will also be a selection of seasonal fruits with mint yoghurt and a salted caramel and gold chocolate praline. Available daily from 2.30pm until 6pm at the Lobby Lounge, The Dessert in the Desert is served as a set for two persons. 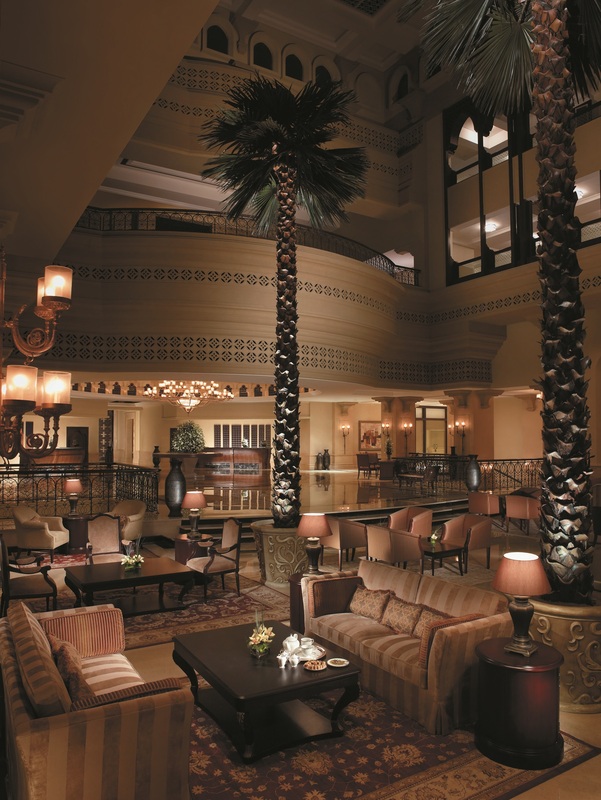 The price for a set for two including coffee and tea is AED 220++ and including two glasses of bubbly is AED 360++. For reservations, please call 02 509 8555 or email restaurantreservations.slad@shangri-la.com.